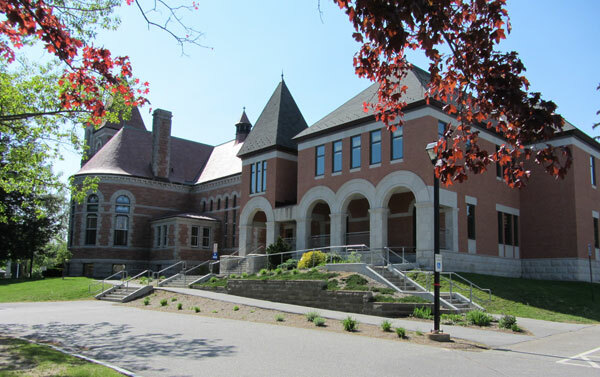 Here is a list of services offered by the City of Laconia. 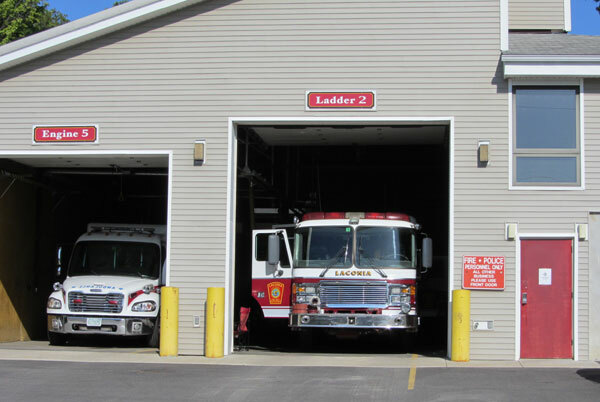 The Weirs Beach Fire Station. 1984-present. 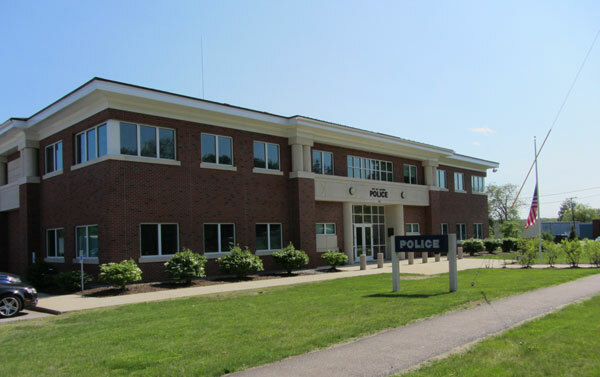 The Laconia Police Station. 2002-present. 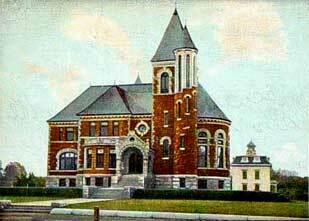 The Laconia Library. Old half: 1903-present. New half: 2005-present. 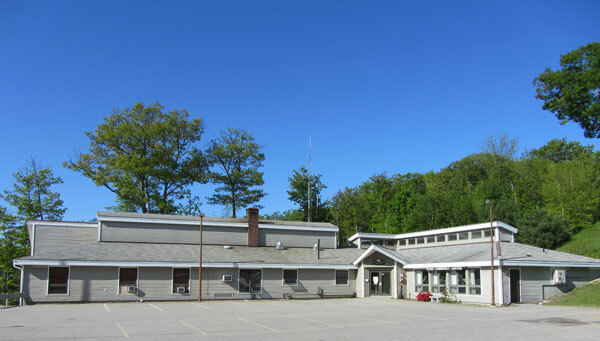 The Weirs Community Center. 1984-present. 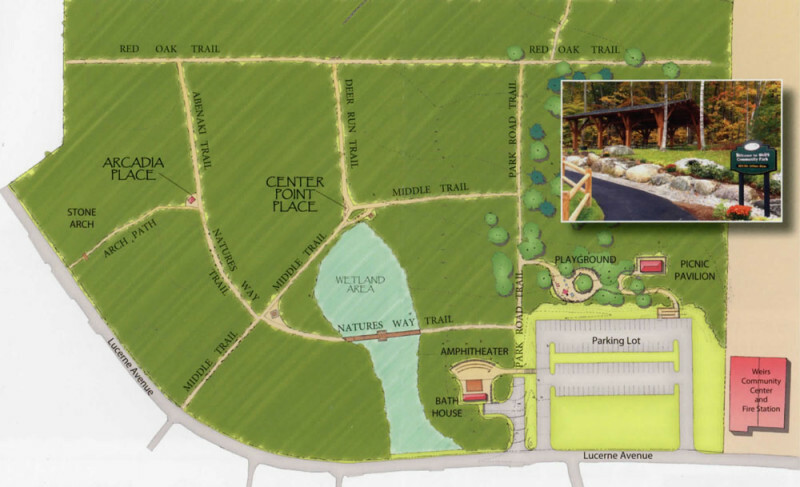 The Weirs Community Park. 2014-present. 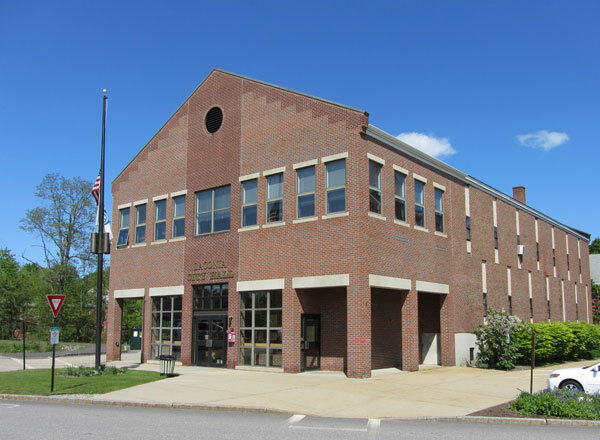 For information on other city services, go to the CITY OF LACONIA WEBSITE Laconia City Hall. 1972-present. 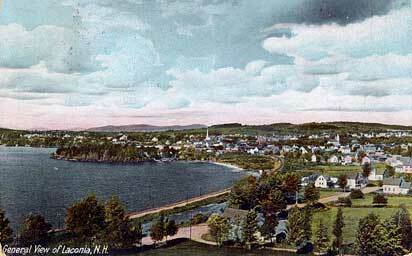 Click here for an 1875 engraving of these views! 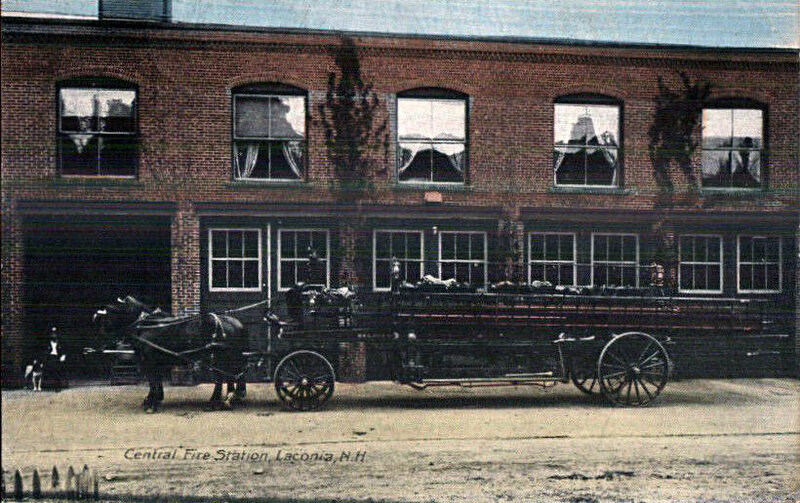 Above, Laconia, N.H. Fire Dept. Comb. No. 1. 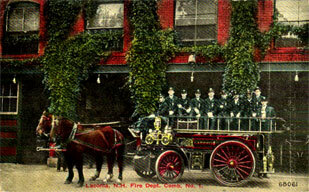 Below, Central Fire Station postcard, postmarked 1908. 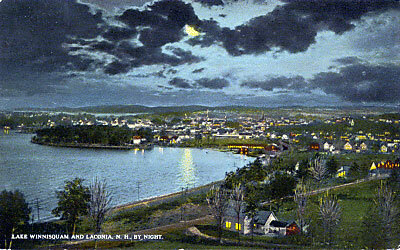 Opened in June, 1903. Added to the National Register of Historical Places in 1985. Recent addition opened in 2006.